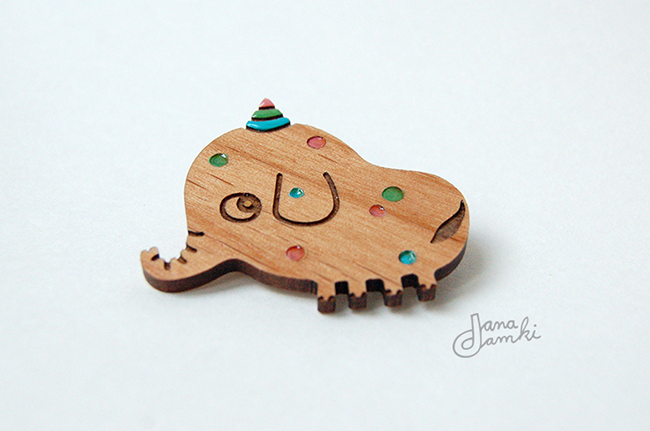 Last one of my brooch-trilogy: Markus the partyphant! He's a bit shy, but loves to party. Invite him for a drink and he will love you forever.